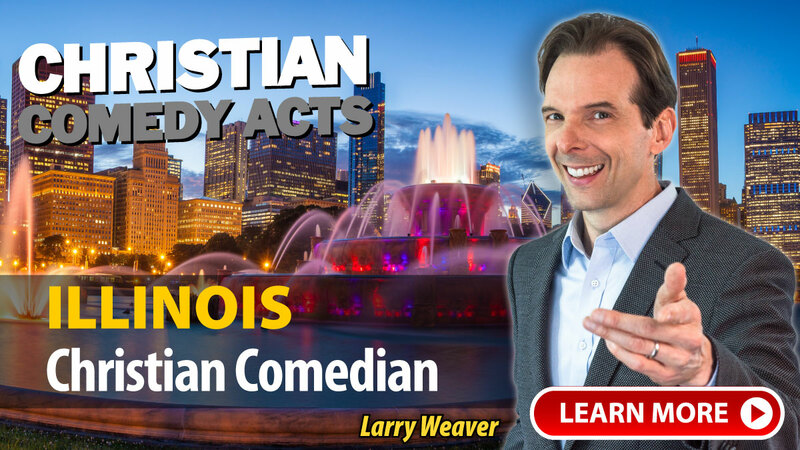 Christian Comedy Acts helps you find local Christian comedians, Christian speakers, Christian magicians, Christian ventriloquists, and top clean comedians in the Illinois area. Find Christian entertainment for your church fundraiser, banquet, outreach or ministry event today. "Lyndy was awesome!! He connected with the people of our Church immediately. Our theme was "Spread the JOY", and he greatly incorporated it into his performances. He was able to connect with everyone from young to old. Lyndy was with us for a weekend event (Saturday and Sunday) and performed an Outreach event on Saturday and then did our morning worship on Sunday. We had a lot of questions and Lyndy was very timely and responsive to any question that we had. Lyndy had God’s message to share and was much more that we had ever imagined! Our Church would highly recommend him for any event!" "John Felts was exactly what I was hoping for. He exceeded my expectations and did a superb job during his performance. His connection with the audience was dynamic and real, his material was funny and relevant and original. He was very low maintenance and needed very little from us. He reflects very highly on your agency and I know that people in the audience were thinking how they might be able to bring him to an event of their own. Nobody laughs enough about good and healthy things. John helped us do this!" "This was the second time we had John Felts at our church, and he exceeded our expectations. It was so nice to work with a performer who is not only extremely talented and entertaining, but also so great to work with. It was clear from the beginning that his primary goal was to make the whole experience incredible for everyone. He was flexible to meet our needs. He is humble and professional at the same time. The kids LOVED him and the adults LOVED him. The feedback we have received has been tremendous." "John Felts did a FANTASTIC job for us. He was professional, funny, considerate and great to work with. He was flexible and motivated to help us make our event a success. Once he took the stage, he was HILARIOUS. He took local St. Louis things and turned them into excellent material. He was a real pro and had the audience eating out of his hand. Everyone is still buzzing about it. If people want to call me for a personal account of how he did, I would welcome that call." "We were VERY pleased with David Ferrell!" A few of the towns these nationally-touring Christian Comedians have performed in include: Bloomington, Champaign, Chicago, Collinsville, Decatur, Effingham, Elgin, Flora, German Valley, Golden, Grayslake, Jacksonville, Kankakee, Keenes, Macomb, Metropolis, Moline, Monmouth, Morrison, Mount Carmel, Mount Vernon, Mt. Carmel, Mt. Vernon, Normal, O'Fallon, Ottawa, Peoria, Petersburg, Pinckneyville, Quincy, Rochester, Sandwich, Springfield, St. Anne, Stockton, IL and others.